In clinical gait assessment, the correct interpretation of gait kinematics andkinetics has a decisive impact on the success of the therapeutic programme. Due tothe vast amount of information from which primary anomalies should be identifiedand separated from secondary compensatory changes, as well as the biomechanicalcomplexity and redundancy of the human locomotion system, this task isconsiderably challenging and requires the attention of an experiencedinterdisciplinary team of experts. The ongoing research in the field ofbiomechanics suggests that mathematical modeling may facilitate this task. Thispaper explores the possibility of generating a family of toe walking gait patternsby systematically changing selected parameters of a feedback-controlled model. From the selected clinical case of toe walking we identified typical toe walkingcharacteristics and encoded them as a set of gait-oriented control objectives tobe achieved in a feedback-controlled walking model. 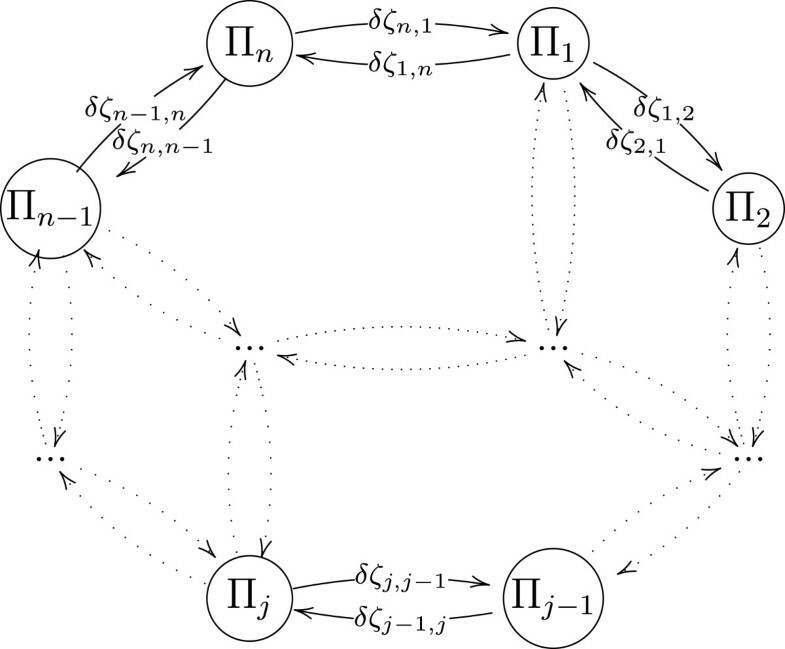 They were defined as fourthorder polynomials and imposed via feedback control at the within-step controllevel. At the between-step control level, stance leg lengthening velocity at theend of the single support phase was adaptively adjusted after each step so as tofacilitate gait velocity control. Each time the gait velocity settled at thedesired value, selected intra-step gait characteristics were modified by adjustingthe polynomials so as to mimic the effect of a typical therapeutical intervention- inhibitory casting. By systematically adjusting the set of control parameters we were able to generatea family of gait kinematic and kinetic patterns that exhibit similar principal toewalking characteristics, as they were recorded by means of an instrumented gaitanalysis system in the selected clinical case of toe walking. We furtheracknowledge that they to some extent follow similar improvement tendencies asthose which one can identify in gait kinematics and kinetics in the selectedclinical case after inhibitory casting. The proposed walking model that is based on a two-level control strategy has theability to generate different gait kinematics and kinetics when the set of controlparameters that define walking premises change. Such a framework does not haveonly educational value, but may also prove to have practical implications inpathological gait diagnostics and treatment. By providing detailed insight into the physiology of human walking, extensive clinicalapplication of instrumented gait analysis has considerably deepened our understanding ofhuman locomotion mechanisms and has significantly improved the accuracy and reliabilityof pathological gait assessment [1–4]. On the other hand, being faced with a vast amount of information thatrequired proper interpretation, clinicians, therapists and biomechanists were compelledto combine efforts to properly process and interpret the available walking informationin order to reach the decision about the most promising therapeutical intervention. Thistask is even more challenging if we consider that gait pattern is often changed due to acombined effect of more than one impaired muscle functionalities and/or bone deformitiesrather than due to an isolated gait anomaly [3, 4]. Despite continuous efforts, to date no general or standardized methodicalapproach has been adopted that would enable straightforward data interpretation andpathological gait diagnostics, let alone provide a reliable forecast about the mostlikely outcome of individual therapeutical intervention. However, the ongoing research in the field of biomechanics suggests that a vast amountof unused potential may be available in biomechanical modeling and simulation.Mathematical modeling of the human gait departs from the actual biomechanical system anddescribes the properties of the human musculo-skeletal system with correspondingmathematical models. Such decomposition grants the user unlimited access to all of themodel parameters. In terms of human movement analysis and pathological gait diagnosticsand treatment, the user would strive to identify a particular anomaly by determining themodel parameters that induce the underlying pathology. In the subsequent decision makingprocess the user would ideally want to estimate the most likely outcome after selectedtherapeutical intervention by adjusting these parameters in such a way as to encode thephysiological changes due to particular intervention. The efficiency of such an approachinevitably depends on the ability authentically to model the human locomotion apparatusand physiological processes and also on how the motion itself is being generated. Thereare two mainstreams being followed when generating motion, and they have proven to havegreat potential for practical applicability in human gait interpretation and analyses:optimization-based modeling [5–19] and control-based modeling [20–27]. Optimization-based models generate joint motions and joint forces by optimizing humanrelated performance criteria subject to physical constraints [5–16, 19]. The key issue of such an approach is the selection of appropriate objectivecriteria and corresponding constraints . If prerecorded motion data are available, the objective criteria reflect theactual physiology of human motion. They offer realistic and arbitrarily detailedmodeling of the human locomotion system, which has already proven invaluable ininterpretations of normal as well as pathological human gait [14, 16–18]. However, in motion prediction it is doubtful whether if new optimizationcriteria can be adequately formulated, since they should relate to the motion which isactually the subject of prediction. Also, when formulating an optimization problem onemust bear in mind the required computation time. In order to reach an optimal solutionon a large scale musculo-skeletal model, the amount of required computational effort isenormous. To some extent computational demands may be mitigated by applyingcontrol-based models. Control-based models utilize various control algorithms to calculate joint actuationsthat drive the biped to follow predefined trajectories [20–24, 28, 29]. They are often embedded in the optimization-based walking models. First,feedback control is used to obtain joint actuations that impose the desired kinematicsobtained by means of motion capture system, and afterwards static optimizationtechniques compute the muscle excitation [24–26]. Since this approach can produce high detailed motion on the level of muscleforces, it seems to be tailored for the interpretation of patient-specific pathologicalgait and muscle tendon force prediction. On the other hand, the necessity for a prioriwalking demands does interfere with the possibility of motion prediction. Since a prioriwalking demands are a prerequisite in the control-based approach, the possibility ofgenerating new movements that would reflect structural or control changes isconsiderably limited. It has been suggested, though, that an adaptive feedback controlmay be a promising approach. In  we proposed a two-level adaptive feedback control strategy that can generatetoe walking kinematics and kinetics in a simple planar biped walking model that to someextent corresponds to principal walking characteristics as observed in clinical cases oftoe walking. The method is based on defining a set of general walking premises ratherthan prescribing the actual joint angles, which forms a framework where joint angles donot depend solely on angle references but are free to develop within a set of desiredwalking premises. In this paper we explore the possibility of developing a family of toe walking gaitkinematic and kinetic patterns with distinguished toe walking characteristics by firstparametrizing the desired walking premises and later introducing these parameters asgradually changing control objectives to the feedback-controlled toe walking model. Weenvision, that in interpretations of human gait pattern, the imposition of such changesmay encode constrained walking premises due to an underlying primary anomaly, while inprediction of the therapy outcome they may encode expected walking premises due toselected therapeutical intervention, whereas the evaluation of resulting gait kinematicsand kinetics at the end would identify the overall success of the selected therapeuticalintervention. The following sections present a biped walking model and corresponding two-level controlstrategy in a condensed form. A detailed overview is available in . Schematic representation of the biped walking model. In (1) and (3) q is a set of configuration coordinates with superscript+ denoting the set of configuration variables just after thetransition, and superscript − denoting the set of configurationvariables just before the transition; u denotes the set of joint moments,M is the inertia matrix, C is the matrix of centripetal andCoriolis terms, G is the gravity vector, Γ accounts forconstraints and λ is a set of negative ground reaction forces. 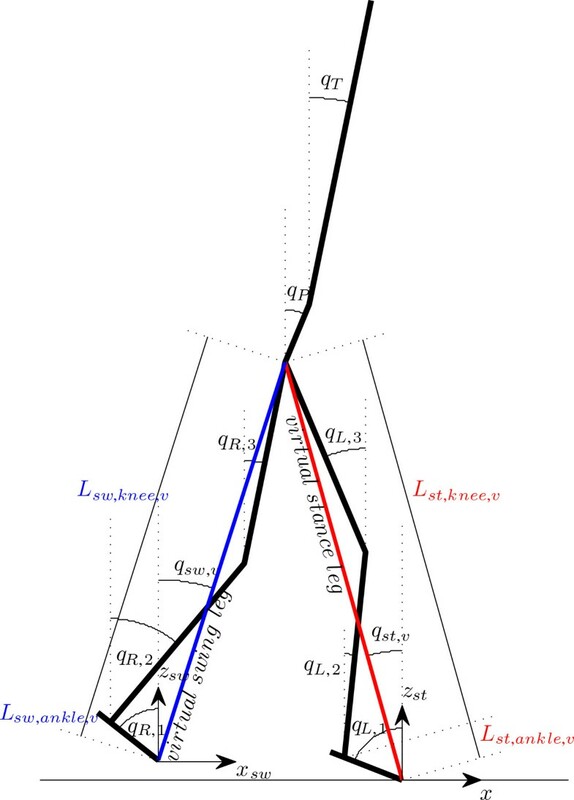 Nominal length of the virtual leg Lleg,nominaland k1 determine how high the swing leg is lifted whileadvancing, whereas wss,2 andwss,3 assure smooth exponential transition. TheremainingLst,v,d(qst,v),qP,d(qst,v),qT,d(qst,v),Lst,ankle,d(qst,v)andLsw,ankle,d(qst,v)define the desired virtual stance leg length, desired pelvic movement, desired torsomovement and desired lengths of ankle components of stance and swing legrespectively. They are all defined as fourth order polynomials. As shown in Figure2, five parameters suffice to completely define the fourthorder polynomial. The initial position and initial velocity for any of the fivepolynomials are determined according to the state of the model in the precedingtake-off phase to assure position and velocity continuity, whereas the remainingthree parameters may be user-defined to impose the desired gait characteristics. Fivecorresponding parameters for each of the selected reference trajectories arepresented in Table 1. Polynomial representation of the control objective. Five parameters areneeded for unique definition of the forth order polynomial. In (8) and (9),L g L f h denotesthe decoupling matrix, K P andK D are positive definite gain matrices whereas thesuperscript + indicates Moore-Penrose inverse. wherek P and k D denotepositive gains. 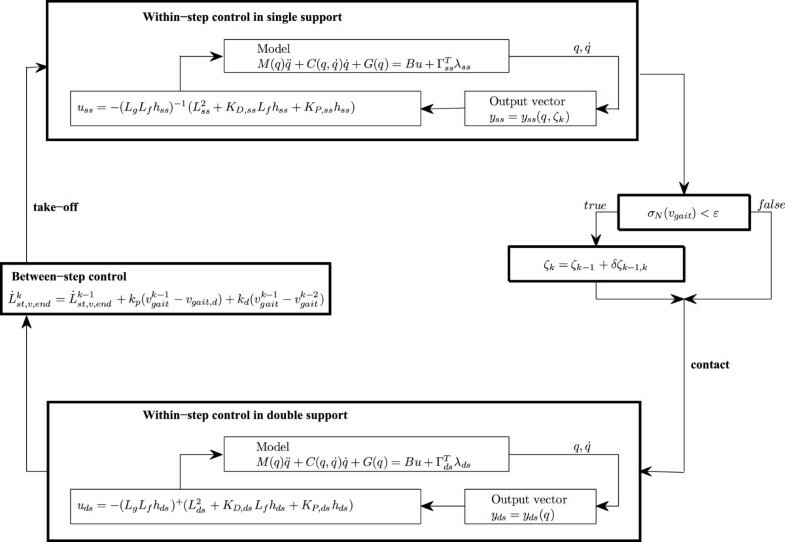 Complete mechanism of the two-level feedback control strategy isillustrated in Figure 3. Schematic diagram of the two level control strategy. We used Matlab and Matlab Simulink for development of the biped walking model andcontrol strategy as well as for performing the simulation experiment. the model will develop new stable gait kinematics and kineticsπj−1→π j in a finite number of steps l only ifδ ζj−1,j issufficiently small to prevent model destabilization. Sinceζ j uniquely defines the correspondingπ j , in general there exists more than onesequence ofδ ζ i i = j…r,that will eventually result in developing the same toe walking gait kinematics andkinetics. Likewise, by selecting such a sequence ofδ ζ i i = j…rthatζ j =ζ r , thetoe walking model will return to the same stable state, henceπ j =π r .The concept of changing gait kinematics and kinetics by adjusting the set of controlparameters is illustrated in Figure 4. Transitions between stable states πi. After settling atdesired gait velocity, changing the set of control objectivesζwill result in settling at new stable state with modified gaitkinematics and kinetics. The aim of this study was to investigate through simulation experiment whether asequence ofζ i can be selected in such a way thatthe resulting family of simulated toe walking gait patterns would qualitativelyfollow kinematic and kinetic changes due to typical intervention in clinicalpractice. Considering that the small number of DOFs confines the feasible range ofmovements to a significantly smaller space than typically available in humans, wefind incorporation of only principal toe walking characteristics in our toe walkingmodel rather than exact reconstruction of selected gait kinematics and kinetics to bea rational compromise. For this reason we followed a typical clinical case of toewalking gait pattern as recorded in an eleven-year-old male subject before and afterserial inhibitory casting (Figure 5). The subject was diagnosedwith cerebral palsy, spastic diparesis, with excessive equinus gait. Before serialinhibitory casting he was three times treated with botulinum toxin due to excessiveplantar flexor spasticity and once underwent serial inhibitory casting. Clinical example of toe walking. We used a standardized methodology for recording the subject’s gait kinematicsand kinetics. 3D movements of IR reflective markers that were placed over palpableanatomical landmarks were recorded with the Vicon Mx motion capture system and wereused in subsequent joint angle calculations. Simultaneously, we used two AMTI forceplates that were positioned in the middle of the walkway to record ground reactionforces for subsequent joint moments calculations. A representative gait pattern wasobtained by averaging gait kinematics and kinetics for both legs in at least threevalid strides. A stride was considered to be valid if the same leg landed within theboundaries of one of the two force plates. The recorded toe walking gait pattern allows us to observe the principalcharacteristics of toe walking. Compared to normal walking, the toe walking gaitdisplays immediate movement towards ankle dorsal flexion after contact, it is furthertypical for the ankle joint in support phase to exhibit considerably increasedplantar flexion; particularly increased are also knee flexion in the support phaseand at the end of the swing phase as well as hip flexion throughout the gait cycle.Consequently, the ankle plantar flexion moment graph displays characteristic increasein early and midstance phase and decrease during push-off, in the knee moment graphwe noticed considerably pronounced extension moment throughout the stance phase,whereas in the hip we recorded considerably increased extension moment in the earlystance phase and increased flexion moment in the terminal stance phase. Although thechild persisted in the toe walking gait pattern after inhibitory casting, theimprovement is clearly evident. After inhibitory casting we noticed a significantshift of the ankle joint trajectory towards normal walking and noteworthy evolutionof somewhat more extended posture in the knee as well as in the hip. Thisadditionally led towards larger, almost normal ankle plantar flexion moment duringpush off, knee extension moment decreased but remained well above the normal level,whereas both hip extension and flexion moment bursts in early stance and terminalstance phases decreased, respectively. Clinical observations of toe walking dictated the selection of such a sequence ofζ i that encoded the following simulationobjectives: when compared to normal walking ζ1 had to inducei) pronounced plantar flexion, ii) increased knee and hip flexion, iii) pronouncedankle plantar flexion moment in the early stance phase and somewhat decreased ankleplantar flexion moment during push-off, and iv) pronounced knee extension moment inthe stance phase. After settling at the desired gait velocity,ζ1 (and successive ζ i )were modified according to (13) in such a way as to gradually encode the primaryeffects of inhibitory casting - releasing the tension in the plantar flexor musclegroup - which considerably reduces kinematic constraint predominantly in the anklejoint. In terms of ζ i , such intervention wasencoded predominantly by gradually decreasingLst,ankle,mid,Lst,ankle,end,Lsw,ankle,mid andLsw,ankle,end as well as bygradually increasing L ̇ st , ankle , end and L ̇ sw , ankle , end . We expected that such progressive manipulation withthe set of control parameters ζ i (13) shouldgradually result in qualitatively similar kinematic and kinetic improvements asrecorded in the selected clinical case (Figure 5): v) ankleplantar flexion should decrease, vi) knee and hip joints should allow moreoutstretched posture, vii) ankle plantar flexion moment during push-off should shifttowards the normal pattern, and viii) knee extension moment should decrease. where ε denotes a sufficiently small level of permissible deviationfrom the desired gait velocity. Given the slow rate of change inδ ζi−1,i thesimulation experiment spanned over more than five hundred successive gait cycles. Weselected gait kinematics and kinetics in five gait cycles that best demonstrate thedevelopment of the desired gait characteristics. Their correspondingζ i are listed in Table 2. It is common in biomechanics to present the gait pattern of an individual as acombination of gait kinematics and kinetics for one leg and for the whole gait cycle(i.e. between two consecutive contacts of the same leg). For this reason we gatheredthe simulation results for one side in two consecutive steps and assumed that asingle support phase of one leg corresponds to a swing phase of the opposite leg.Additionally, kinetic data were filtered by using a fourth order Butterworth filterwith cutoff frequency f c = 5Hz. 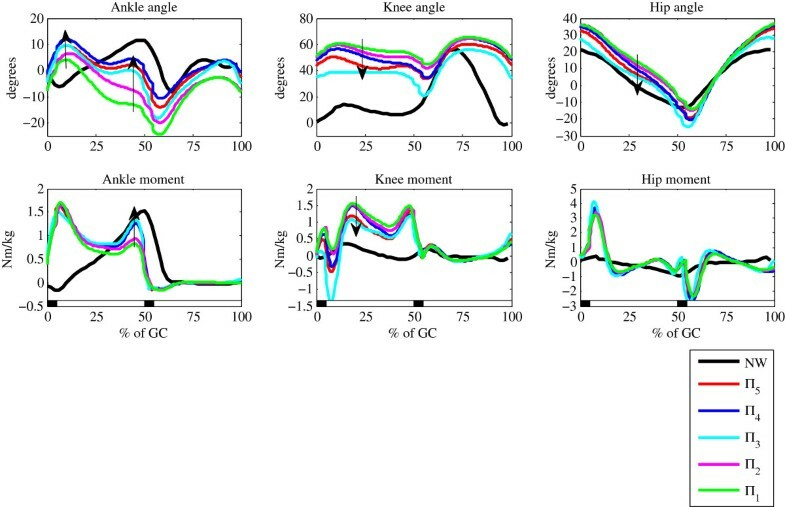 Figure 6 shows simulation results in five selected gait cycles.When qualitatively inspecting kinematics and kinetics, we notice that all simulationcases developed the principal characteristics of toe walking. Moreover, by progressivelychanging the set of control parameters ζ i as listed inTable 2, we were able to generate a sequence of toe walking gaitkinematics and kinetics that gradually developed similar improvement tendencies(indicated by arrows) as recorded in the clinical case of toe walking after inhibitorycasting (Figure 5). Typically pronounced ankle plantar flexion inthe stance phase gradually decreased and shifted toward the normal range of anklemovement while retaining the toe walking pattern. In the knee joint approximately 60degrees of initial knee flexion was reduced to less than 40 degrees after graduallychanging the set of control parameters. A similar result is present in the hip joint -generally increased hip flexion throughout the stance and hip extension in terminalstance gradually shifted towards normal hip kinematics. Developing kinematic diversity in gait simulations by changing the set ofcontrol parameters ζ. The sequence of black and white rectangles belowthe three graphs in the lower panel indicate consecutive phases of double supportphase (0–5% of GC), left leg single support phase (5–50% of GC),double support phase (50–55% of GC) and left leg swing phase (55–100%of GC). Two transitions from black to white (5% of GC and 55% of GC) indicateright leg and left leg take-off respectively, whereas transition from white toblack (50% of GC and 100% of GC) indicates the right leg and left leg contactphase respectively. Additionally, the interval 0–10% of GC is referred to asearly stance phase, the interval 10–40% is referred to as midstance, thepush off indicates the interval 40–50% of GC and the interval 50–55%denotes terminal stance phase. The ankle moment graph shows in all gait cycles a characteristic double teeth ankleplantar flexion moment that is generally present also in clinical cases of toe walking.After gradually changing the set of control parametersζ i the first peak in early and mid stance remainedunchanged, whereas the second peak during push-off gradually increased from a typicallymodest ankle plantar flexion moment to almost normal range. 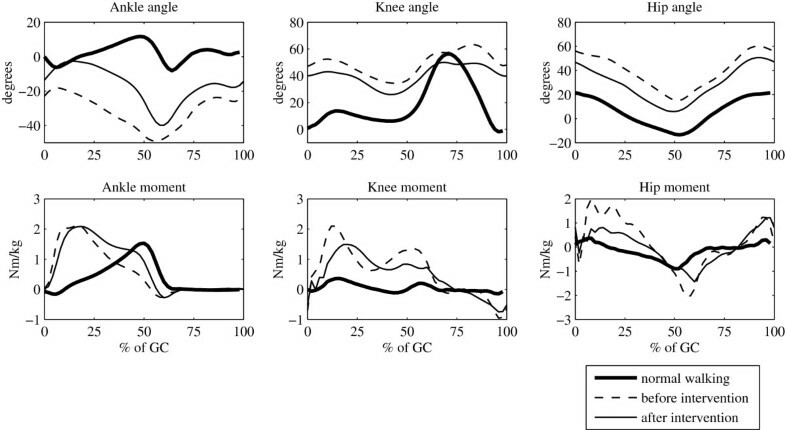 In the knee joint, theinitially pronounced knee extension moment diminished almost by half after changing theset of control parameters ζ whereas in the hip joint the effect of varyingthe set of control parameters ζ had a negligible effect - all simulationcases show large extension and flexion moment bursts in the early stance and early swingphase, respectively, that to some extent coincide with the increased extension moment inthe early stance and increased flexion moment in the early swing phase. In terms of selected ζ (Table 2) we notice thatthese changing trends in gait kinematics and kinetics correspond predominantly togradual shortenings in the ankle components of virtual stance and swing leg. DecreasingLst,ankle,mid,Lst,ankle,end,Lsw,ankle,mid andLsw,ankle,end up to 35 % not onlychanged the ankle kinematics and kinetics; due to the relatively constant length of thevirtual stance leg (Lst,v,mid andLst,v,end) they also imposed a moreoutstretched posture in the knee joint. Such improvements are typically present afterundergoing inhibitory casting in CP children. In the development of our toe walking model, our aim was to form a framework in whichthe joint movements would not need to be directly defined but could be inherentlyencoded in a set of general walking premises that are imposed through parameterizedreference functions. The rationale behind imposition of the desired walking demandsinstead of following prerecorded joint angle trajectories is that in the latter approacheach gait pattern requires its own set of joint angle references, and any deviation fromthe existing joint movements significantly aggravates model stability. On the otherhand, in our simulation experiment we have shown that by encoding joint motions via aset of walking demands, the joint angles are free to develop so as to comply with thesedemands, and that changing only one walking demand in general imposes entirely new gaitkinematics and kinetics on all joints without jeopardizing model stability. This closelyrelates to the typical situation in pathological gait treatment. Namely, in clinicalgait analysis and treatment the primary effect of a certain anomaly or treatment isoften known only locally, whereas the secondary compensatory changes which arise inresponse to a primary anomaly do change the gait kinematics and kinetics globally. Forexample, plantar flexor muscle contracture primarily increases ankle plantar flexion andreduces push-off. On the other hand, the human neural system may compensate for the lackof push-off by tilting the torso forward, increasing hip moment by recruiting hipmuscles or placing an additional load on the knee joint, depending on the state of themuscles involved. It is a challenging task that requires a lot of experience todistinguish between primary anomalies and secondary compensations, as any deviation ingait kinematics and kinetics from the normal gait occurs due to the combined effect ofprimary as well as compensatory anomalies. It is also a crucial step in pathologicalgait treatment, as only primary anomalies should be treated, whereas secondary changeswill disappear when they are no longer needed. We envision the following situation in which generating new gait kinematics and kineticsby gradually changing the walking premises in a simulation model could complement theconventional approach to pathological gait treatment. When initially being acquaintedwith the patient’s gait kinematics and kinetics the therapist would reconstructthe patient’s gait kinematics and kinetics by systematically tuning walkingpremises in the simulation model until the gait kinematics and kinetics of the patientand the model were matched: in each iteration the therapist would gradually and bygrowing δ ζi−1,1 change the set ofnormal walking premises as defined by the set of normal control parametersζ normal in such a way that the resultingζ patient would impose gait kinematics and kineticsthat would correspond sufficiently well to the gait kinematics and kinetics of thepatient. 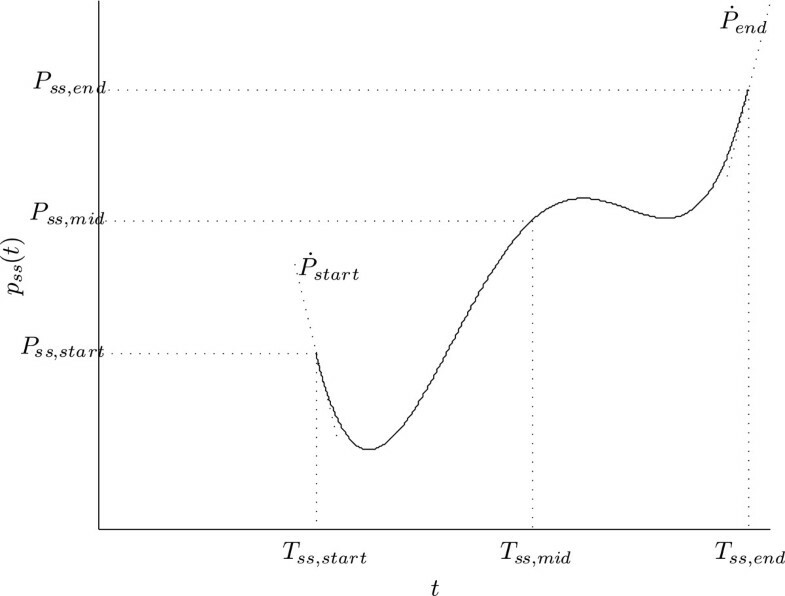 To simplify, let us assume that to achieve this it would suffice to graduallyadjust the value of only the k-th parameter ζ i k in each iteration. The validity of such an assumptionproceeds from the ability to modify gait kinematics and kinetics in all joints byadjusting the value of only one control parameter that in turn adjusts the correspondingwalking premise. Once kinematics and kinetics of the patient and the simulation modelwere matched, a team of clinicians, therapists and engineers would interpret thediscrepancies between ζ normal k and ζ patient k in terms of the most likely primary reason. Therefore,instead of establishing causal relationships between all deviations in gait kinematicsand kinetics, the interpretation of gait kinematics and kinetics by means of simulationmodels would focus on determining the primary anomaly that is responsible for aparticular discrepancy between ζ normal k and ζ patient k . This would immediately grade some primary causes whichthey would usually consider as very unlikely and would significantly narrow the range ofavailable therapeutical interventions, which would significantly facilitate the decisionabout the most promising treatment. Since the primary effects of most commoninterventions are well delineated and can be easily encoded as modificationδ ζ therapy , the therapist would insubsequent treatment planning gradually change the existing walking premisesζpatient,new = ζ patient + δ ζ therapy . Hence, the model wouldpredict new gait kinematics and kinetics which would reflect the effects due to theselected therapeutical intervention. Due to the absence of ζ normal and structural simplicityof our toe walking model which aggravates reconstruction of the actual gait pattern, wewere able only partly to illustrate this procedure in our simulation experiment. Byfollowing simulation objectives i-viii as defined in section Simulation experiment, weinitially established such a set of control parametersζ patient =ζ(π1)(Table 2) which induced toe walking gait kinematics and kineticsπ1with similar toe walking characteristics as present in theselected clinical case of toe walking before the intervention (Figure 5) - simulation objectives i-iv. Even thoughζ normal was not available,ζ patient (more precisely highLst,ankle,mid,Lst,ankle,end,Lsw,ankle,mid andLsw,ankle,end) clearly indicatespronounced plantar flexion. Experience from clinical practice shows that inhibitorycasting primarily decreases ankle plantar flexion and increases dynamics of themovement. To investigate the effect of such intervention in this particular clinicalcase of toe walking we encoded inhibitory casting by gradually reducingLst,ankle,mid,Lst,ankle,endLst,ankle,midand Lst,ankle,end as well as increasing L ̇ st , ankle , end and L ̇ sw , ankle , end according toζ(π2)…ζ(π5)in Table 2. Despite toe walking gait characteristics still beingpresent, gait kinematics and kineticsπ2…π5 (Figure 6) in general moved towards the normal range of movement and complied withthe simulation objectives v-viii. Since the new gait pattern may be considered as lessdemanding, we may assume inhibitory casting to be an intervention with a potentiallypositive outcome. To evaluate the simulation results, they were compared to the actualclinical case of toe walking where the patient underwent inhibitory casting (Figure5). By focusing on generally desired improvements (simulationobjectives v-viii), rather than reproducing the clinical outcome, we notice thatselected simulation gait cycles follow similar improvement tendencies (in Figure 6 they are marked with arrows) to those which one can identify ingait kinematics and kinetics after inhibitory casting in the selected clinical case(Figure 5). The limitations of the proposed approach predominantly proceed from the simplifiedstructure of the simulation model. The small number of degrees of freedom that confinesthe motion to only the sagittal plane significantly reduces the feasible range ofmovement of the model and cannot adequately account for compensations that often occurin transversal or coronal planes of motion. The main argument why focusing on sagittalplane only may be a reasonable compromise is that compensations are considerably betterunderstood in transversal and coronal planes than in the sagittal plane, which is theplane of forward propulsion and progression. Nevertheless, expanding the feasible rangeof motion to the transversal (and coronal) plane of motion would improve theapplicability of such a model, especially since human gait is synchronized andinterrelated motion in all three planes of motion and should be treated as such. This isa precondition for successful and accurate reconstruction of patient specific gaitkinematics and kinetics. At the current stage of toe walking model development, thereconstruction of human locomotion is feasible only to the extent that is supported bythe modest structural complexity of the model. That is why reproduction of thepatient’s gait kinematics and kinetics was beyond the scope of this research andis the subject of future work. Instead, we focused on construction of the principalcharacteristics of toe walking and qualitatively similar improvement tendencies to thosewhich one can observe in the selected clinical case of toe walking. On the other hand,the desire to accurately reconstruct a particular gait pattern presumes negligibleadjustments of the proposed control strategy. Namely, to extrapolate the feasible rangeof movement to all planes of motion, one would only need to extend the existing set ofwalking premises with additional walking premises and introduce them as new controlparameters to the two-level control strategy without interfering with the overallcontrol scheme (Figure 3). Such a model would then be suitable formore challenging clinical cases where the gait is changed due to the combined effect ofmore than one incorrect muscle functionalities. Following the example of [24–26], the method as presented in this paper could also combine feedback controland static optimization techniques to calculate muscle forces. Thus the gait analysiscould be extended to a muscle recruitment level instead of joint moments. We furthersuggest yet another optimization level which, in the process of gait diagnostics, woulddetermine the set of control parameters in such a way as to minimize the deviationsbetween the simulated gait pattern and the gait pattern of a particular patient,prerecorded by means of instrumented gait analysis. This would not only speed up thediagnostic process but would also optimize walking demands with respect to eachindividual. We also believe this would diminish the undesirable effects of the contactphase and switching control strategy. The rigid contact model assumes velocitydiscontinuities when switching from single to double support, whereas the switchingcontrol strategy imposes two large hip moment bursts at the beginning of the singlesupport and the beginning of the swing phase (the opposite leg is in single support),respectively. While they are consistent with clinical observations of toe walking(Figure 5) it is very likely that the majority of surplus arisesdue to rapid correction of asymmetry from the end of double support. This directlyaffects the knee moment as well. To meet control demands, the knee actuator mustsimultaneously provide sufficient knee flexion moment to compensate for excessive hipextension moment, which would otherwise force the knee joint to extend. Simulation experiments have shown that the proposed framework is capable of generatingprimary toe walking characteristics as recorded in a selected clinical case of toewalking. Also, when adjusting the set of control parameters so as to encode the primaryeffect of inhibitory casting, which is a typical therapeutical intervention of toewalking, the resulting gait kinematics and kinetics follow similar improvementtendencies to those which one can identify in gait kinematics and kinetics afterinhibitory casting in the selected clinical case. This suggests the potentiallypractical implication of the proposed framework in clinical gait assessment and therapyplanning in the future. Both authors significantly contributed to the conception, theoretical analysis,simulation experiments, data interpretation and writing of the manuscript. Both authorsrevised and approved the final manuscript. The study was supported by the grant of the Slovenian Research Agency - ARRS researchproject P2-0228. This article is published under license to BioMed Central Ltd. This is an Open Access article distributed under the terms of the Creative CommonsAttribution License( http://creativecommons.org/licenses/by/2.0), whichpermits unrestricted use, distribution, and reproduction in any medium, provided theoriginal work is properly cited.